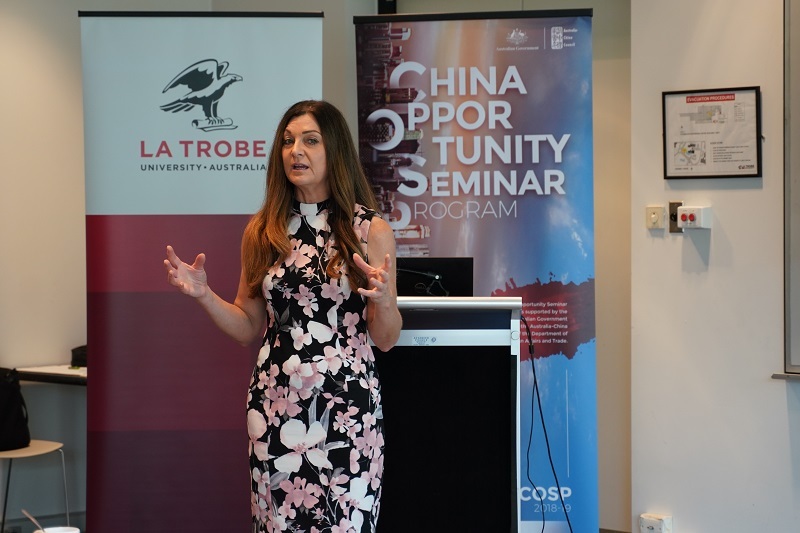 E-commerce in China and how to navigate this complex digital landscape was the topic of the final instalment in our four-part China Opportunity Seminar Program. 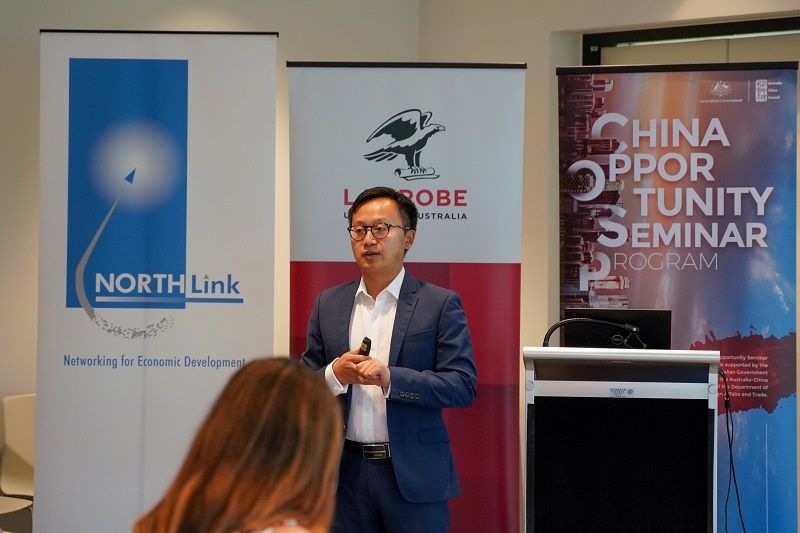 Held by La Trobe University in partnership with Melbourne’s North Food Group on 22 March, this presentation was facilitated by Stone Drums Group Founder and Managing Director Allan Qiu. The Stone Drums Group is a digital marketing service that assists businesses with cross-border e-commerce strategy and operations in China. 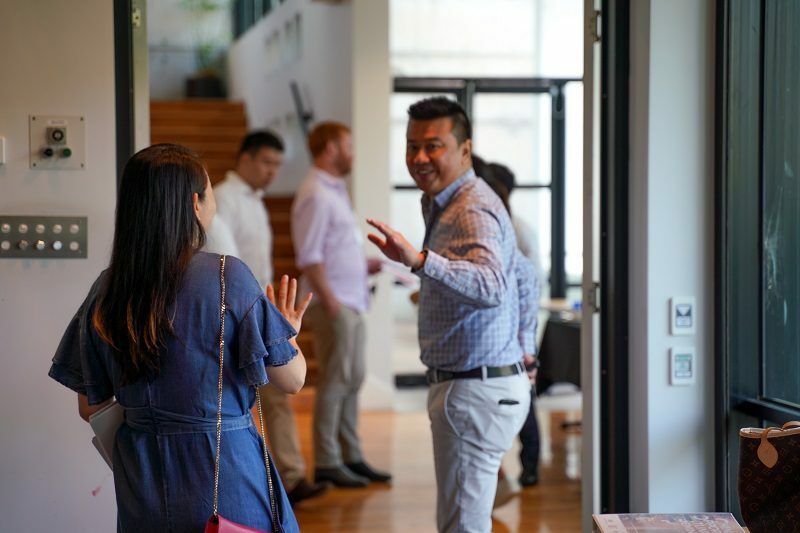 Allan’s experience in Chinese marketing gave participants an excellent summary of this multifaceted topic. The disparities between Australian and Chinese e-commerce sites were evident in Allan’s overview of China’s major platforms. The sites discussed included Alibaba, JD.com, NetEase Kaola, Suning.com, VIP.com and Pinduoduo. Alibaba’s vast ecosystem encompasses over 30 subsidiary platforms and businesses, making it one of the largest retailers in China. The subsidiary businesses include digital media, entertainment, e-commerce and other services. In cities such as Guangdong, Alibaba makes up a large portion of the retail sector. To be listed on Alibaba’s premium e-commerce site, Tmall, businesses must build their reputation from the ground up. Taobao and Tmall Global Direct Import list brands that are unknown to moderately recognised. These sites purchase brand products then sell them on to the customer. When a brand’s reputation reaches a certain level of recognition, it moves up the food chain and onto Tmall.com. JD is China’s largest internet company and retailer. The site’s customer base is very demanding, spending six times more in comparison to their largest competitor’s customer base. JD’s huge advantage is its integration with WeChat. WeChat is China’s most popular social media network, with 980 million monthly users. The integration allows customers to purchase and sell products through the WeChat app. This is particularly useful for brands in the establishment phase. Like how Australian marketers use paid Facebook advertising, WeChat advertising has become popular for market penetration. When it comes to cross-border e-commerce, NetEase Kaola is China’s number one platform. More than 5000 brands from over 80 countries sell to 15 million plus repurchasing customers. The products sold on this site paint the picture of their typical customer. Baby and children products, beauty and makeup, clothing, shoes and bags comprise a considerable portion of products sold. Around 70 per cent of customers are aged between 18 and 30 years. Well educated women from middle class families who demand quality and fashion over price make up the consumer majority. VIP.com is one of China’s strongest fashion websites, particularly for female apparel. With over 300 million shoppers, the platform is 80 per cent female driven. VIP has a reputation for stocking quality international brands that vary in popularity across the Chinese regions. Similar to Kaola customers, the typical shopper on VIP is well educated, from at least a tier two city, aged in their mid-20s and has a moderately high disposable income. Following Allan’s presentation, attendees received a certificate of participation for their efforts throughout the seminar series. Several businesses that expressed interest during the program were selected to join a Chinese delegation tour to Chongqing and Chengdu in May. This tour will help businesses build their international networks while gaining insight into the Chinese market.